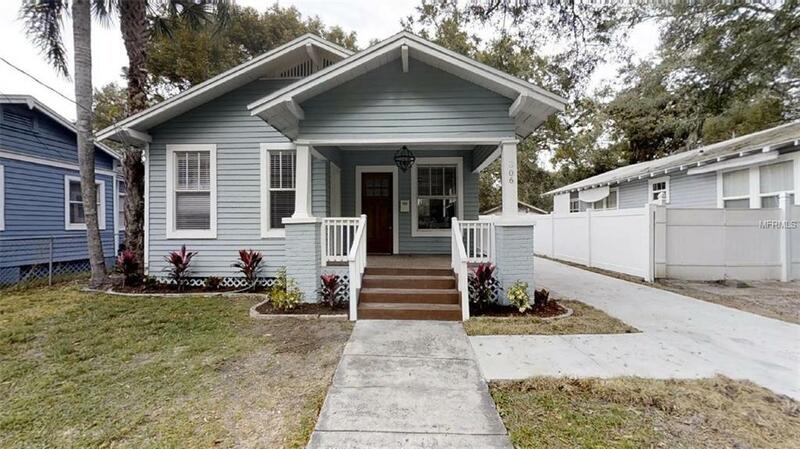 Beautifully remodeled 2/1 in South East Seminole Heights. You will be hard pressed to find a clear favorite feature in this home. Weather it be the 100yr old beam out of a church outside of Chicago, laundry off the kitchen with included w/d units, craftsman front door with dentil, Stainless appliances with the popular smarthub fridge, or the awesome backyard living area. The floors have been recently refinished, the roof was completed less than a year ago, working fireplace, original floor tile in bath, A/C is 2 yrs old, concrete driveway and paver area in back, all new mortis locks, even comes with the 50" TV above fireplace. She is small, but she packs a big punch! !